In October 1966, a groundbreaking event took place at the Armory in New York. “9 Evenings: Theater & Engineering” was a multidisciplinary performing art event, where 10 artists and 30 engineers collaborated to present works that integrated dance, music and theater. The New York-based Experiments in Art and Technology was founded the following year. The National Museum of Modern and Contemporary Art‘s exhibition “Experiments in Art and Technology: Open-ended” is an exhibition highlighting the ground breaking experiments and social projects led by E.A.T. The exhibition aims to offer a glimpse into the art-technology collaborations in the post-World War II New York art scene, populated by an influx of avant-garde artists from Europe and other countries. E.A.T was a non-profit organization founded in New York in 1967 by artists Robert Rauschenberg and Robert Whitman and engineers Billy Kluver and Fred Waldhauer. 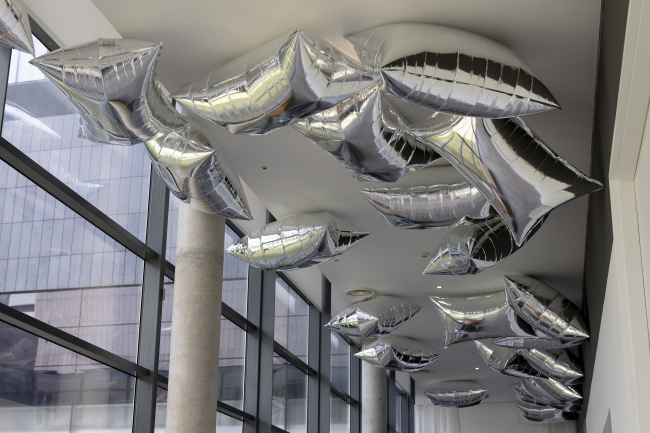 They proposed to expand the social role of artists through works that made uses of newly emerging technologies and make them more relatable to the public. The organization is renowned for being at the vanguard of the worldwide art movement that made extensive use of new technology, including the first exhibition of video art hosted in Germany in 1963, the first computer exhibition opened in the US in 1965 and the Expo 70 which took place in Osaka. Artists involved with E.A.T‘s activities were pop artist Andy Warhol, painter and graphic artist Robert Rauschenberg, experimental animator Robert Breer, dancer and choreographer Merce Cunningham, composer John Cage and painter and sculptor Jean Tinguely, among others. Video artist Paik Nam-june also collaborated with the organization. “In the early 1960s I invited the artist to visit me at Bell Laboratories in Murray Hill and tour the laboratories ... Paik came for a visit. He noticed a large iron magnet sitting under my desk, and was immediately interested. I gave him the magnet. 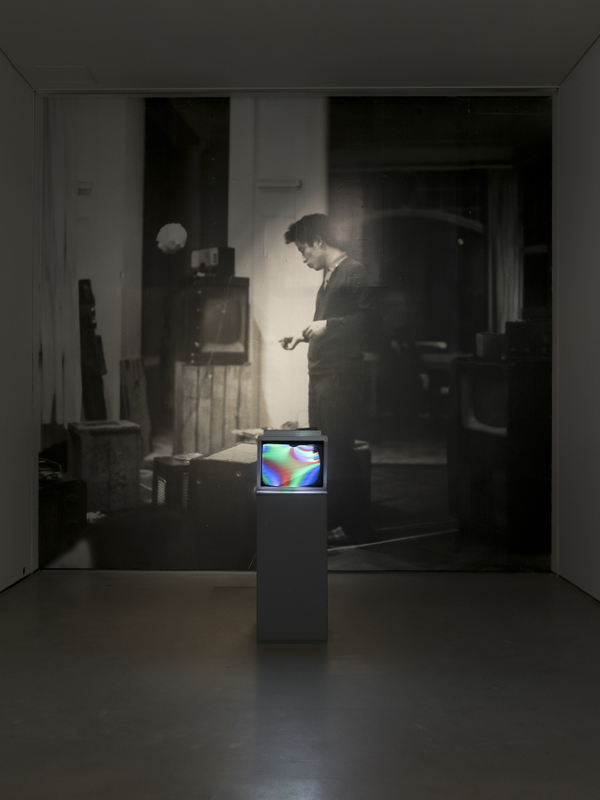 He placed it in front of and then on top of a television set to manipulate the image into abstract patterns to create ’Magnet TV,‘ that he showed at his one-person show at the Bonino Gallery in September 1965,” wrote Billy Kluver, one of the co-founders of E.A.T. Paik in 1965 also took part in Cage’s “Variations V,” which Kluver and Cunningham as well collaborated to stage the performance. 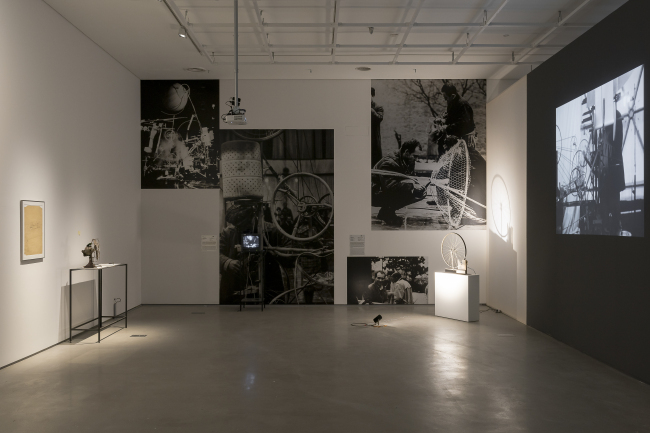 The MMCA retrospective exhibition offers the visitors opportunities to see the results of collaborations between E.A.T and abovementioned artists, including Paik’s “Magnet TV” and Andy Warhol’s 1966 production “Silver Cloud.” Video footage of Jean Tinguely’s most famous work “Homage to New York” -- sculpture or a complicated assemblage of motors, wheels, addressograph, a bathtub and other thrown-away objects designed to self-destruct and burnt down -- are also on view. Video footage of “9 Evenings: Theater & Engineering,” offers an informative history lecture on the eventful experiments that took place over nine evenings in New York. “The key word of the exhibition is ‘open-ended,’ not just because people with various backgrounds took part in boundary-absent collaborations but also because their activities tried to go beyond the museum spaces,” said curator Park Duk-sun. “The works that stem from the E.A.T’s projects still open up spaces, inviting dialogues and discourses of our time,” Park added. The exhibition space also houses art-tech works such as Robert Whitman‘s 1967 laser projection “Straight Red Line,” Hans Haacke’s self-explanatory work “Ice Table” and “Heart Beats Dust: Cone Pyramid” by Jean Dupuy, an interactive installation in which red pigments are thrust upward toward a cone of light to the heartbeat of the viewer. The exhibition runs through Sept. 16 at the MMCA‘s Seoul branch.